A young Scottish male voice-over artist with a fresh, assuring, friendly voice full of natural character. He is confident over a range of styles and accents and has a specialty for character voices. His natural accent is a mix of Glasgow/West Coast, but it is considered ‘neutral Scots’ to most ears. 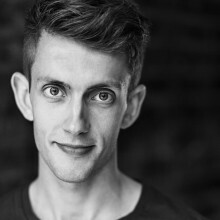 He graduated from the Royal Conservatoire of Scotland in 2012 and has since worked as an actor throughout the UK for companies including National Theatre of Scotland, Chichester Festival Theatre, BBC Scotland, Chanel 4, Clerkenwell Films, Dundee Rep and The Royal Lyceum. His voice-over experience includes commercials, explainer videos, animations and narration. Some of his clients include: BBC 2, NHS Scotland, Astonish Factory and English Heritage.